Isn’t it always nice to find a new perfect use for zucchini? Even though I don’t grow zucchini I usually tend to keep it on hand during the spring and summer months. 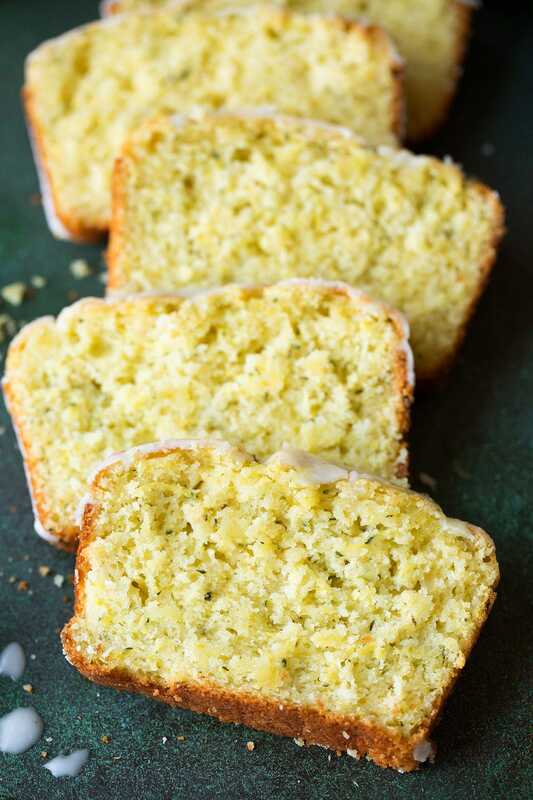 I love using it for Chicken Enchilada Zucchini Boats, Lasagna Zucchini Boats, Soup, and I’m obsessed with covering it with cheese, but basically the best thing you can do with zucchini is turn it into a dessert like these Zucchini Cupcakes with Cream Cheese Frosting or this purely irresistible Lemon Zucchini Bread! 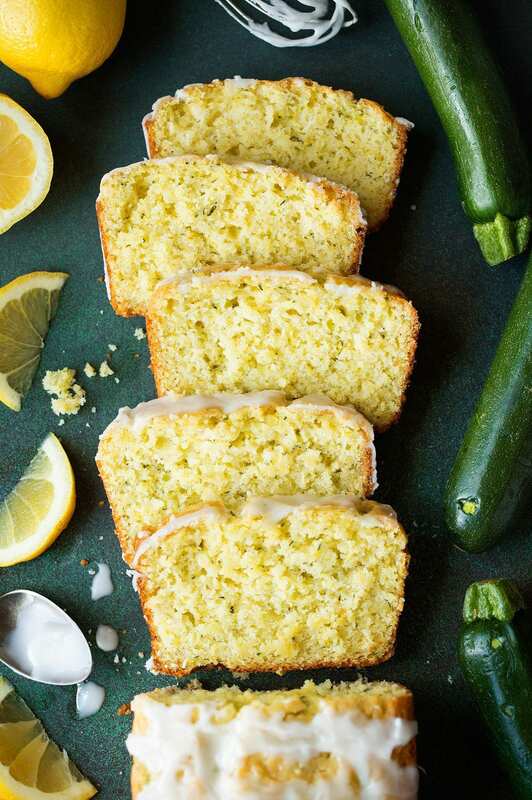 I’ve actually had lemon zucchini bread on my to-try list for years but for some reason I just kept forgetting about it, but not today! 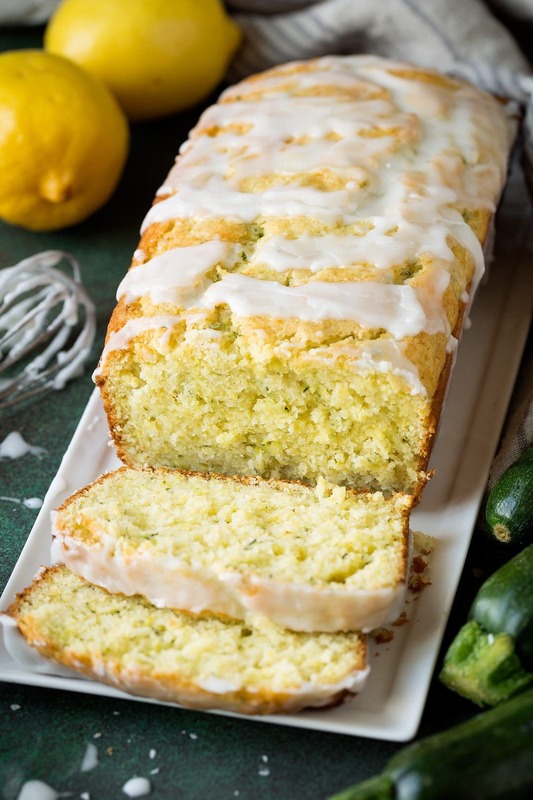 I had a bunch of zucchini in the fridge and a bunch of lemons so of course it had to happen and I’m so glad it did because I’m crazy about this bread! Yes of course I started by eating just one slice but then every time I’d walk into the kitchen I couldn’t help but go and cut off another little piece. And it’s like banana bread, it gets even better after its sat in an airtight container for a few hours. 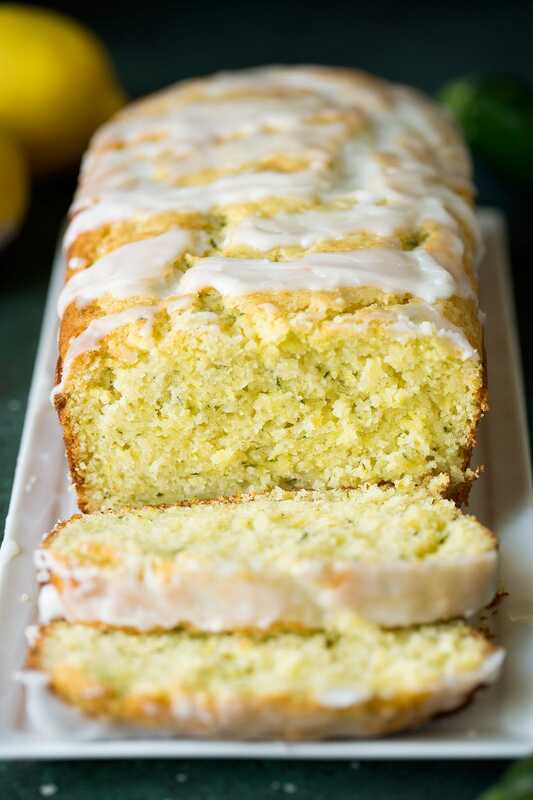 This bread is deliciously moist, it’s perfectly lemony and has just the right amount of sweet to balance it out – thanks to that glaze, yummmm! Everyone in my family loved this bread, kids included. And I always love their reaction to something like this when I tell them as they are eating it that it has zucchini in it. I get some “ewwws” and funny looks but it’s so good they just keep eating and then request another slice the following morning to go along with their breakfast. Yep this is some good stuff I tell you! 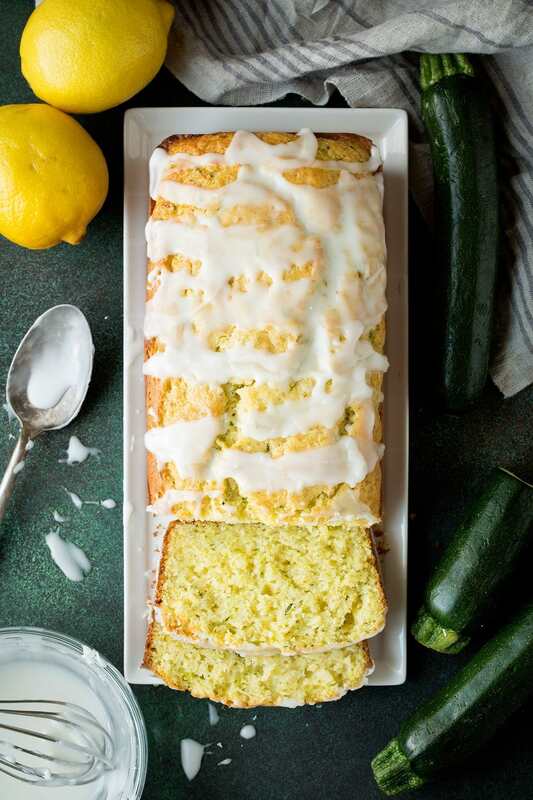 A tender, sweet and tangy lemon bread with hidden pieces of zucchini. A treat the whole family will enjoy!